So, I still have some wee decals to put on these chaps, but I figure once I’m happy with the paint I’ll just go back through and do them all at once..
All told I have about a platoon’s worth of these chaps to give my Germans a run for their money on the Normandy-ish terrain I have. It’s very quick paint, so not going to win any prizes, but it’ll stand up well on the table and I should be able to get them all done in short order if I give them my attention. Honestly, with the next thing I had planned being white scars bikers, and their being rumours of a white scars bike box, I’m a) slightly peeved I already have a bunch of bikes and b) trying to hold off in case they look awesome. So I'll take some time to paint my Americans, finish off some guard that need some love and maybe think about a knight now that the new kit is out. 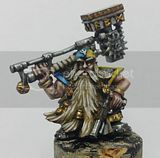 Lovely work - would be great to to read a brief step by step guide to how you got your 'very quick paint job' to look so good! Very good job, they look suitably scruffy and laden with baggy trousers and equipment all over. "Like" I had more than one box of little grey airfix ones, that's how much I liked them. Yeah, Me too, along with germans and british Paras. Damn you attenborough, That movie has a lot to answer for.